Narcís Bonet was born in Barcelona on January 22, 1933. He is the son of the architect Lluís Bonet Garí who built the façade of Gaudí’s Basillica and Expiatory Church of the Holy Family. His brother, Jordi Bonet Armengol, is the current chief architect at the Basilica. Narcís Bonet gave his first public performance at the Palau de la Música Catalana in Barcelona at the age of 13, both as composer and pianist. In 1948, Ekitay Ahn, the conductor of the Majorca Symphony Orchestra commissioned his first symphonic work, La vaca cega, that was performed in the main theatre. After studying in Barcelona with Eduard Toldrá, Joan Massiá, Joan Llongeres, Emili Pujol and Lluís M. Millet, he moved to Paris to continue his musical studies with Nadia Boulanger and later studies in conducting with Igor Markevitch. In 1952 and again in 1953, Bonet received the first prize in composition from the American Conservatory in Fontainebleau where he would later become director, succeeding Nadia Boulanger. In 1958, following a recommendation from Darius Milhaud, he received the composition prize from the Copley Foundation of Chicago. His rich musical career has included composition, accompaniment, conducting, organization and administration for various musical projects. In addition, he has devoted himself to teaching while always playing an active role in the promotion of Catalan culture. 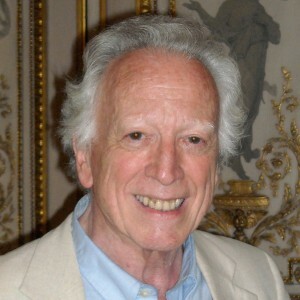 Narcís Bonet has received many composition prizes and commissions and was president of the Jeunesses Musicales in Barcelona and the international federation of Jeunesses Musicales. He was the representative for the International Council on Music for UNESCO and produced musical programming for Spanish language radio programs in France. He was technical secretary for the Orchestra and Choir of Spanish radio and television, consultant for the Opera Festival in Madrid, musical consultant for the Dotacio d’Art Castellblanch in Barcelona, and assistant director at the Ecole Normale de Musique de Paris. In addition, he collaborated with Igor Markevitch on his analytical edition of Beethoven’s 9 Symphonies (Van de Velde) and has published several pedagogical works. Narcís Bonet regularly chairs or sits on juries for many international competitions in composition and piano and continues his activities as a professor at the Ecole Normale de Musique de Paris and the Schola Cantorum. He is a professor for the summer program and festival for composition and chamber music held each year in Paris, the European American Musical Alliance (E.A.M.A) as well as various master-classes throughout Europe and the United States. He is a member of the musical council for the Prince Pierre of Monaco Foundation, the Nadia and Lili Boulanger Foundation and the Catalan Royal Academy of Fine Arts. He is Commandeur dans l’ordre du merite culturel , ordre de Saint Charles and ordre des Grimaldi de la Principaute de Monaco. He has received the Croix de Saint-Georges from the Catalan government and is an officer of the Ordre des Arts et des Letters of France.